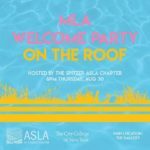 The ASLA NY Student Chapter is hosting a casual get together for new and returning graduate MLA students! Join us on the rooftop after studio Thursday for refreshments, fun and (hopefully) an awesome sunset. 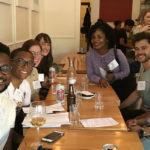 Learn about the Spitzer School’s undergraduate and graduate programs. This tour will include the studios, fabrication shop, library, and Solar Roofpod. Meet in lobby of the Spitzer School of Architecture. 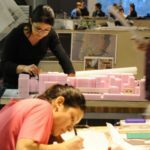 Four-week intensive introduction to the theory and practice of architecture for those considering a career in design. Includes lectures, workshops, office tours, and design studios; emphasis on hand craft and digital fabrication, interdisciplinary research, and ecologically and culturally sustainable practices. Please visit here for more information.